Are Organic Strawberry Plants Better? People often debate the relative merits of buying organic fruits and vegetables versus conventional ones. People coming to this site often ask, “Are organic strawberry plants better than non-organic ones?” Opinions vary as much as people do, and it is often hard to answer objectively. Proponents of organic strawberry plants say that organic farming produces healthier fruits, use more sustainable agricultural practices, and keep toxins out of both the fruits and the people who consume them. Supporters of conventional agriculture claim fad status for organic farming and say that “this too shall pass.” They claim that organic farming costs the consumer more and offers no tangible benefits. John Reganold led a study entitled “Fruit and Soil Quality of Organic and Conventional Strawberry Agroecosystems,” which has now been published. Reganold is a Washington State University Regents professor of soil science. His study answers conclusively the debate. Are organic strawberry plants better? Absolutely. His study persuasively shows that there are significant environmental and nutritional benefits to raising organic strawberry plants. The study was conducted on 26 different plots. 13 were conventional fields and 13 were organic strawberry fields. In order to control the variables more effectively, pairs of fields were planted. Each organic plot was adjacent to a conventional plot in order to reduce the effect of weather and soil type so that results wouldn’t be tainted due to field location. Multiple specialists contributed to the testing of the soil and fruits. Geneticists, statisticians, and food scientists all took part in analysis of three different varieties in California. The results are striking. Organically-grown strawberries taste better, are more nutritious, and are better for soil and environment than are conventionally-grown strawberries. When it comes to human consumption, the most important nutrients found in strawberries are Vitamin C, phenolic compounds, and antioxidants. The organic strawberries had significantly higher levels of all three. The conventional strawberries did have higher levels of potassium and phosphorous, but the known health benefits of Vitamin C, antioxidants, and phenolics far outweigh the possible benefits from an increase in those two. Interestingly enough, the organic strawberry plants themselves were healthier. They succumbed less often to fungal diseases after strawberry harvest despite the fact that no fungicides were applied to the organic fields. This astounding fact may indicate that organic agroecosystems may grant a significant measure of systemic resistance through natural processes instead of through anti-fungal chemicals. Even for those who care nothing for the organic vs. conventional debate and only care about the taste, the study is important. The conventional strawberries did not surpass any of the organic varieties in sensory appeal. However, one third of the organic varieties proved more pleasing to consumers based on appearance and sweetness. The soil quality of the organic fields also proved to be superior to the conventional fields. Methyl bromide has been used as a toxic fumigant to sterilize the strawberry fields for decades. It is already banned in many countries and is supposed to be phased out in the USA as well. However, the likely replacement, methyl iodide, may prove to be even more toxic. The organic soils proved to have much more biological diversity (more unique genetic material), which is generally an indication of soil health. The organic soils had more iron, zinc, boron, and sodium than the conventional soils. It also had more enzyme activity, sequestered more carbon, and had more micronutrients, despite the fact that conventional soils are routinely sprayed with synthetic fertilizers. Now, the facts are in. 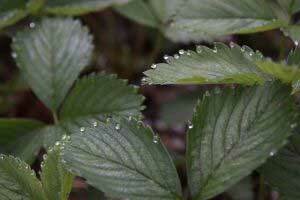 Are organic strawberry plants better than conventionally-grown ones? Yes. Yes, indeed. As organic strawberry farming spreads, people will have less exposure to toxic chemicals, healthier dirt, and more nutritious strawberries. That sounds like a good reason to promote organic strawberry plants to me. If it sounds like a good idea to you too, use the Share/Save button below to share this with a friend! 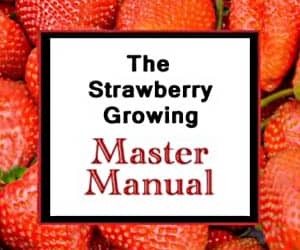 And, learn more about growing strawberries and the benefits of growing your own strawberries. If you can’t grow them yourself, here is how to at least buy good ones. You might be in for a tough go of it if you try to make a profit from pineberries in Kenya. Kenya isn’t known for a climate hospitable to temperate strawberry plants. Also, you can’t get pineberry seeds from reputable suppliers as they won’t grow true. And, the pineberry is a very soft variety. That makes it very difficult to ship or export. Sorry!